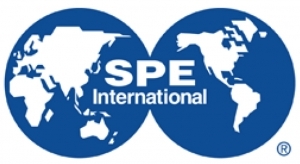 DBS&A Senior Vice President, Neil Blandford, P.G., will present to the Society of Petroleum Engineers Environmental Study Group (SPE ESG) on November 1, 2018, in Midland, Texas. This talk will provide an overview of groundwater rights acquisition and permitting in Texas and New Mexico, as many oil and gas companies and supporting industries positioned in the Permian Basin have operations in both states. The nature of water rights acquisition and permitting is driven by the different legal and management frameworks adopted in each state; in general, the acquisition of water rights in New Mexico is more complicated and time consuming than it is in Texas. Permitting considerations in each state have evolved through time—the Texas legislature has placed additional requirements on groundwater conservation districts, and the New Mexico Office of the State Engineer has responded to water availability concerns. Learn more about Neil Blandford.